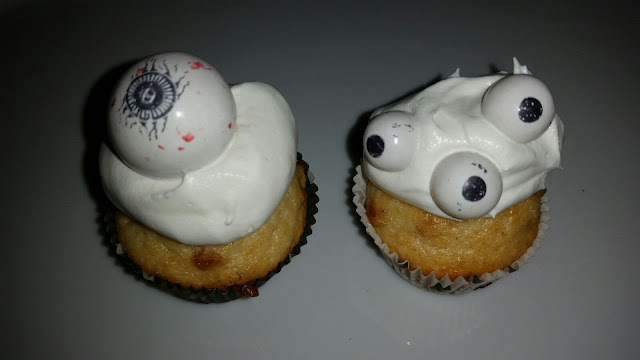 Being Frugal and Making It Work: Kids Love SPOOKY Halloween Treats: Eyeball Muffins & Cookies! 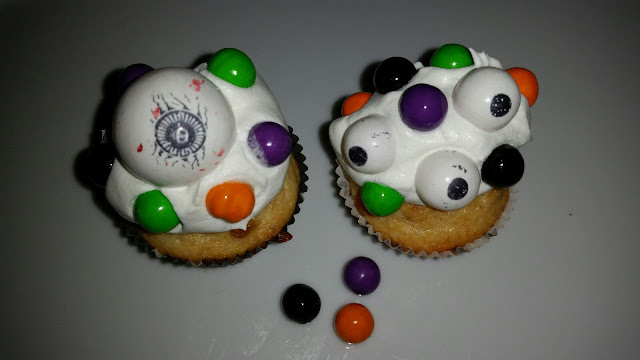 We used Googlie Eyes Gumballs, Nerds Filled Spooky Eyes Gumballs and Halloween mix Sixlets to create our eye catching mini muffins! First, they catch your eye... then fill your tummy! Celebration and Sixlets products provide a fun, easy, and affordable way to make this Halloween party the most memorable one ever! You can purchase Celebration by Frey™ and Sixlets® products online and other retailers around the country such as Walmart, Hobby Lobby, Wegmans, Meijer and many more! I've seen them at my local Walmart store and am always impressed with the variety of colors available! Perfect for any holiday or celebration! What spooky Halloween treat will you create? $50 selection of Fall/Halloween Celebration by Frey decorative candies! You have 25 chances to win a $50 candy prize pack from Celebration by Frey. Enter to win below and then hop on over to the other 24 blogs in the Celebration by Frey Giveaway Event. Each blog will be offering their own $50 giveaway, so you have a total of 25 chance at winning! Disclaimer: The Being Frugal and Making it Work family received complimentary Fall/Halloween Celebration by Frey decorative candies for the purpose of writing a review and hosting a giveaway. Regardless, I only recommend products or services I would use personally and/or believe will be a good fit for my readers. The views and opinions expressed on this blog are based purely by our own experiences. No monetary compensation was received. Results may vary. I love the gooble eye gumballs. I will be mom of the year! I would choose the Halloween mix gumballs because I think the kids would love them. I would like the Googlies Eyes Gumballs Peg Pouch. I would want to get it all because it all looks great. I absolutely love candies and the halloween sixlets.. I like their sixlets in red and all of the other rainbow colors. Love all of the decorative sprinkles too. 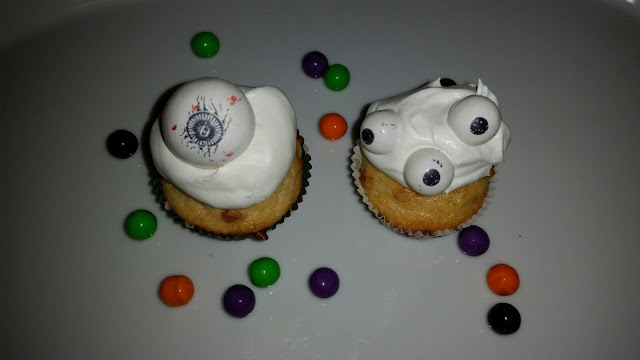 Id love the Spooky Eyes Gumball Peg Bag to make cupcakes more fun! The plain googlie eyes would be great to have to non halloween fun! I like all types of candy and would try to get as much variety as I can. I love the shimmer silver gumballs. Elegant gumballs! I would love the Shimmer Girl Camo Sixlets Peg Pouch (1.75oz) for our youngest daughter’s birthday! They would be perfect for her cupcakes. I love the Sixlet Halloween assortment. I would use it to decorate cupcakes and cookies for an upcoming Halloween party. I'd like to get the Foiled Milk Peanut Butter Filled Hearts. I bet they're yummy! I love the Googly eyes gumballs. I can't wait to make iced cookies with them. In a Tall Glass Decanter I would fill it with the Halloween Mix Gumballs and the Spooky Eyes Gumballs and the Googlie Eyes Gumballs. I would use it as a centerpiece for my dining room table. Snowflakes and Halloween gumball mix two faves. My grandson and I would love using the Halloween mix sixlets shaker jar to decorate cupcakes. I got some cute ideas for the Halloween Mix Sixlets Shaker Jar! I would love to try the Halloween Mix Sixlets Peg Bag for my Halloween cookies. I would like the Orange shimmer sixlets, they would be perfect for Halloween cupcakes. We are doing our own crafty Halloween party instead of going out and dealing with people that want to be morons and not let the kids enjoy their day. The Halloween Mix Sixlets Shaker Jar would be perfect for letting the kids decorate their own cupcakes and cookies. I like the Eye Gumballs. My kids love gum and all things spooky. I would love the Googlie Eyes Gumballs Peg Pouch so my daughter & I can use them to decorate our Halloween cupcakes! I would like the googly eye gumballs the most. They would be a great addition to my spooky dessert decorating arsenal. I would most like to give and get the Googlie Eyes Gumballs Peg Pouch because they are both clever and silly. I like the Lime Green & White Candy Crumble Small Peg Bag first and foremost of all the fine Frey decorative candies because they are so sweet.